A To Z Challenge 2016 Theme Reveal - A Rose Is A Rose Is A Rose! Yes, it’s that time again! 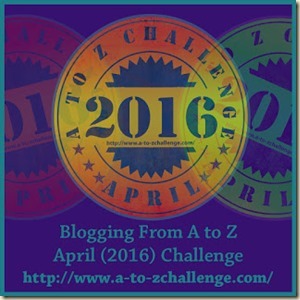 The much awaited A to Z April Challenge is just around the corner. And over 1200 bloggers from around the world are gearing up to don their creative hats and are sharpening their writing skills. Yes, we all will be writing posts from A to Z, every day in April except Sundays! This April, I will be participating in this mega event for a fourth time in a row. In April 2013, I wrote on random subjects from A to Z. By April 2014, I got the hang of this challenge and there was quite a buzz about to theme or not to theme. So, I decided to go with the theme of Marriage from A to Z in exactly 55 words! Loaded with the experience of the earlier 2 years, in 2015, I wrote about Emotions and Feelings from A to Z in 55 Words. While writing about random subjects leaves with you a lot of choices, writing on a theme keeps you focussed and helps you explore and grow more in the chosen subject. I loved challenging myself to write in 55 words these last two years, so I had no doubts about the word limit each of my post would have this April. Why just 55 words, you may ask. Well, it’s a win-win situation for both you and me. 55 words are just short enough to grab your attention and time and long enough to cover the subject and as for me, well, it is the perfect way to challenge and kick my dormant muse! I did an extensive 5-minute research (Yeah, I am pretty good at it!) 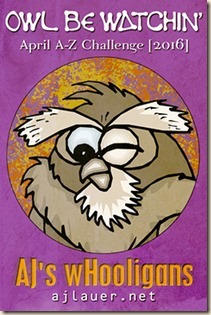 and decided to go for…. “If you’re happy and you know it, clap your hands!” Remember this rhyme from our school days? From early on, we were taught to recognize and celebrate feelings of happiness! And today, we know that happiness is not only one of the most positive emotions we can experience, but being happy is also the key to a fulfilled, healthy life. Most of us believe that happiness is a result of some external circumstance, but it doesn’t have to be. Happiness a daily habit and it can be cultivated in our every day life. So, this April, I am going to explore ways to cultivate happiness and joy in every day life instead of letting it be a product of chance. And I am going to express all that in just 55 words. I am looking forward to you all joining me in this journey! And did I tell you that I am in AJ’s team (one of the Co-host for this year’s challenge) as wHooligan and that’s third year in a row!! Joining me are LuAnn Braley (my buddy and we have been together as wHooligans for 3 years now! How cool is that!! ), Geetika Gupta and Doreen McGettigan. We will be watching you and of course doing all the ‘hard work’ behind the scenes! I am very excited about this April challenge. In case this appeals and interests you too, then you must check out the A to Z Challenge website and sign up as a participant! There is still time, and it’s a lot of fun, I promise! Previous post Why do People Behave Differently in a Group? Wow! That sounds like such a happy, feel-good-about theme. Excited to read through April Shilpa. I remember your posts from last year and they were awesome. See you around! That’s great theme! A daily dose of happiness! That’s a wonderful theme! I have never really thought about it, happyness as a daily habit. I can’t wait to read it. Head on for the challenge. Thanks for your vote of confidence, Nabanita! Are you participating in this challenge? Thank you, Shailaja. Wish you were participating this year too! Loved your short stories last year! Salute Shilpa ! hope to learn from your extensive experience here. You are so generous, Shalini. Thanks a lot! That is a great idea, Shilpa. Happiness is something we all can learn about. Often we take if for granted. All the best. Your 55 words are just too good. Thanks Ruchi. Arent you participating this year? I am remembering your fantastic stories of last year! Yes, I will. Am still undecided about the theme. But I will. Thanks Susan. It was around this time, last year that we had met. And I glad that we did. Are you participating this year? Couldn’t see your theme reveal post on your blog! You pull off the 55 words so well. Good luck with the challenge, Shilpa. I’ll be cheering from the sidelines. Thank you for your kind words and support, Corinne. Wish you were joining us too! This is such a positive theme! Just the ray of sunshine to brighten the April skies! Looking forward to your lovely posts Shilpa! Loved the theme, totally my kind….bring it on! I am waiting….. Thank you, Genevive. Are you joining us this year too? I am remembering your last year’s theme of travel and places, which was wonderful with your pics and anecdotes! Short and sweet, but with depth – I look forward to your posts. Everyone can do with more happiness in their lives. The world can always use some more happiness, and 55 word posts will surely bring a much-needed smile to our faces everyday! Sound very good to me! Look forward to seeing you around. Wonderful idea for a theme. I’m looking forward to seeing what you come up with. We have chosen the same topic, Shilpa! Mine will be simple reflective posts though. Looking forward to your 55ers once again! All the best! Wow – I love the idea of 55 words! I tend to ramble on in my blog posts, so doing 55 words would be a big challenge for me 🙂 And you’ve picked a great theme! Looking forward to checking back in next month. Now that’s a great topic many people can benefit from! Good luck with your theme. What a great, positive choice. There’s so much negativity in this world, I love anything that encourages us to look at the bright side. I’m very happy, so you should be hearing that clapping sound by now. As to those 5 minute, intensive searches, I love those the best. See you more in April. Oh yes, I like quick decisions and one can make them with 5 min research 😀 I’ll be seeing you in April. Cheers! I love the idea of doing it in 55 words or less. I don’t think I would be able to keep the posts under 55 words, but can’t wait to see how you do it! 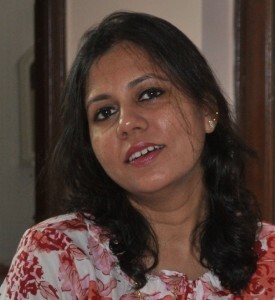 Have a great time, Shilpa! I love the sound of this – we can all use a little extra positivity. 55 words sounds like a major challenge. I am doing 100 words and editing my posts down in hard! I’m already looking forward to following along for my daily dose of happiness. Towards more happiness smiles and joy Shilpa!!! Looking forward to reading each one of them. Sounds great especially the 55 words part. You really do well with that. Good luck. 🙂 I will surely read when free. Wonderful theme! and very thoughtful too, keeping it short and sweet! I’ll try to keep it short too! Thanks Shubhangi. Short (less) is more in April, actually. Awesome theme and so great that you can keep it with so short words! I think it takes me more than 55 words just to say hello sometimes 🙂 Have fun with the challenge! Sure to be short and sweet. 🙂 We could all use more happiness in our lives. Great theme, Shilpa! Shilpa thanks for visiting and introducing yourself. It is my first year participating so I am just feeling my way. I don’t have a theme but can see it would be good. Next year! I like the 55 words challenge for yourself – I guess this year will be all about visiting and learning and I look forward to it. I love short blogs and I’m doing a 55’er too. Wow! the theme is fantastic. Looking forward to reading it. Thanks Paromita. 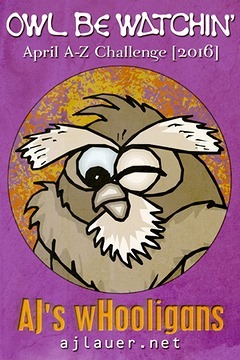 Looking forward to read you too! Loosing patience when i will read that.. Thanks Amit. Will read your posts for the challenge too! 55 words! Quite a challenge. I’m looking forward to seeing what you have to say!